Kim Richmond, Musician-"Compositions - Jazz"
All of these pieces can be purchased by contacting the composer. This is a multi-textured work using a variety of orchestral colors. It combines both tension and requiescence. When played by a larger string section it will be perfect for underscoring serious media products. Starting with a fanfare (mostly brass) intro followed by string section runs setting up the lyrical melody in 12/8. Although the melodic element is pastoral in nature, the development adds some serious momentum with some disonant rhythmic figures. The fanfare returns at the end with the full ensemble. This piece is one of melodic development on distinctive structures, stretching them in various fashions. The actual development section contains areas where many of the players can improvise individually. Much contrast is presented, with the piece ending with a triumphant roar. This beautiful song is an arrangement first featuring the string section alone. The woodwinds weave in, and then the brass. After the melody is fully stated, a 12/8 driving figure is introduced in the cello, adding the other string one by one. Over the the string pad floats the melody and development. 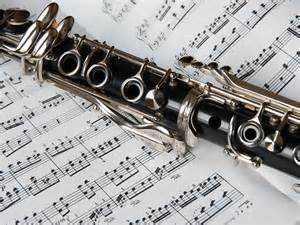 The later part of the development features the clarinet and bassoon conversing back and forth in a improvised style, then a strong melodic statement finally returning to a climax and ending. One of Kim's most exciting compositions. The thick textures, rhythms and the wonderful ostinati will add sparkle to any concert. Listen to the MP3 files and check out the PDF's. A show stopper! A mini-concerto featuring solo oboe and 2nd violin, dedicated to two of our players who were central to the orchestra. The melody is introduced by the oboe with 2nd violin obligatto, and then the roles are reversed. A quicker tempo is introduced for the development section before the melody returns in duet form. A short (25 measures) encore peace dedicated to a lovely lady. The one-chorus melody is initinally stated by the clarinet and 1st violin, but then passed around the ensemble. A composition by Kim Richmond for small chamber ensemble. Elegance, sophistication are words which come to mind in describing this work. This is an instrumental version of one of the songs from the musical "Tokyo Rose -the Musical." It has a poignant melodic quality that is expanded with a middle section that is dramatic against what starts as running 8ths, followed by further development of the melodic elements. Using some of the techniques and harmonic characteristics of Pyotr Ilich Tchaikovsky, this statuesque work for chamber orchestra has a driving quality that still retains many lyrical moments. This composition is a tribute to the style of Giacomo Puccini, using several of his devices and harmonic structures. It contains mystery and passion. Imagine the excursion by automobile along Pacific Coast Highway in California or traversing the open plains. This work conveys those images and more as it moves from one place to another. Lyrical qualities highlight this work, built on two themes that develop extensively in seemingly every possible combination. Dramatic passion plays a large part as build after build occurs towards the finale. Kim Richmond has entered the world of sophisticated dance. His "Waltz and Variations" for chamber orchestra is intellectually sophisticated and structurally perfect. This twelve minute work will enhance any concert schedule. More importantly, the easy flowing rhythms and orchestral colors lend themselves to interpretation by Corps de Ballet, which should include an expressive Pas de Deux. A choreographer's dream. This piece is in three movements and presents a mixture of classical and jazz influences. Meant to be practical for classical brass players, two of which can do some improvisation (there are ad lib solos for trumpet 1 and trombone) but not necessarily be jazz players. A rhythm section of piano, bass and drum set can be added, although all three movements can be played with just brass. Movement I starts with fanfarish figures that individually mingle and overlap, leading to an ensemble with contemporary harmonies. The middle slower section has moody introspective solos over and ostinato by trombone and trumpet 1. Movement II is introduced by slowly weaving figures under trombone melody. The middle section has all improvising together on given limited motifs. Movement III returns to a faster tempo with some jazz-influenced figures and an intricate ensemble unison melody line. This branches out to ad lib solos by trombone and trumpet 1, after which the material from Movement I is recalled, presented in a syncopated manner, leading back to the triumphant fanfarish material of the opening. After a grand chorale, the composition shifts into a lilting (at times sounding “Viennese”) waltz with a nostalgic feel. This sprightly movement (the title is short for “recreation room”) presents a motif which is extended and finally gives way, in a rubato section, to a short improvised cadenza for each player. The title meaning the entry room in a house, this explores different textures of movement with ebbing and flowing rhythms. Here is a programmatic movement. A lullaby is played, as if on a music box, very softly. The music box theme winds down, the pitch and tempo diminishing. A door closes. Then all “heck” breaks loose. A pillow fight and other boisterous activities ensue. The activity is very energetic but soon the kids are alarmed (parents approaching) and quickly are back in bed. The lullaby returns, winds down again, and all are asleep. An ostinato figure starts this people like someone striding up and down the hallways, but soon it develops into swing figures that weave in and out in a more complex manner before returning to the ostinato. Four short dissonance's and one consonant for trombone ensemble. Tied together in a theme and variations manner, this 5-movement piece for 8 tenor and 4 bass trombones displays five different aspects of the trombone ensemble. (1) Sharp (2) Veiled (3) Pointilistic (4) Sliding (5) Bold.